KAMPALA – Ms Justine Bagyenda’s appointment to the Board of the Financial Intelligence Authority (FIA) is in jeopardy after she skipped vetting by Parliament on Monday. 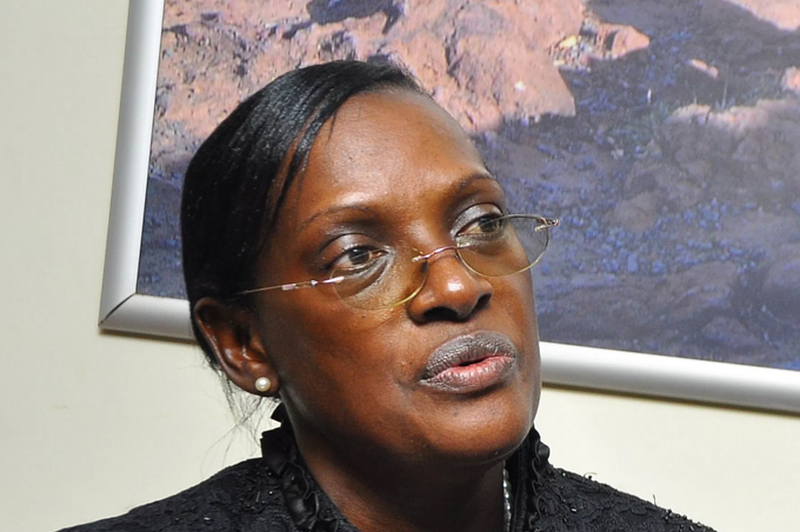 The appointment of the former Director of Supervision at Bank of Uganda to the FIA Board has been contested by several groups, including MPs, who say the same agency is investigating her over alleged illicit accumulation of wealth while still at the Central Bank. And on Monday, journalists expected her to appear at Parliament to be vetted by the Appointments Committee which is chaired by the Speaker of Parliament, Ms Rebecca Kadaga. However, by 2 pm, she had not showed up despite the committee vetting the other appointees such as Mr Leo Kibirago, who is the FIA Board chairperson; Mr Patrick Ocailap and Ms Patricia Mutesi. The committee wound up its work without her turning up. Whereas the committee members refused to speak to journalists, multiple sources intimated to this website that Ms Bagyenda is out of the country. It is not clear whether the committee will give her another chance to vet her. Sources also revealed that the Appointments Committee has received several petitions, challenging Ms Bagyenda’s appointment to the FIA Board. However, sources said CID boss Grace Akullo’s appointment to the board was rejected by the committee who reportedly claimed that she is still a serving officer who would have to first resign the position before being accepted to serve on the Board. Meanwhile, MPs under the African Parliamentary Network against corruption including Manjiya County’s John Baptist Nambeshe and Kumi Municipality’s Silas Aogon have vowed to fight tooth and nail to block Bagyenda’s appointment on grounds that her moral stance is questionable and thus unfit to serve on the Financial Intelligence Authority. A section of MPs has already drafted a motion that seeks to compel Parliament to set up a Select Committee to investigate the operations of Bank of Uganda and Bagyenda’s role in the closure of Crane Bank and it is already on the Order Paper. The Inspector General of Government (IGG) is also conducting a parallel investigation on Bagyenda over allegations of illicit accumulation of wealth. Following March reports that Bagyenda had Shs19 billion on three different accounts, which sparked a public debate on how she accumulated such amount of money within six years, a whistleblower petitioned FIA, demanding that Bagyenda is investigated. Whereas FIA executive director Sydney Asubo in March told journalists that the authority had opened inquiries into the matter, no report is yet to be produced.